To hold your breath within your heart. You can hear the tiny cracks as dawn breaks. In the agonising climb to another height. Reached that still point of lowness. The darkness is turned away. Prayer is a simple thing, a holding of our thoughts and wishes like a handful of broken toys to the Eternal Father. It can be long and full of beautiful poetry or short and full of harsh, raw words. It can be in our daily acts of mercy and kindness, in our meetings with other souls. It can be in our every breath and every word. 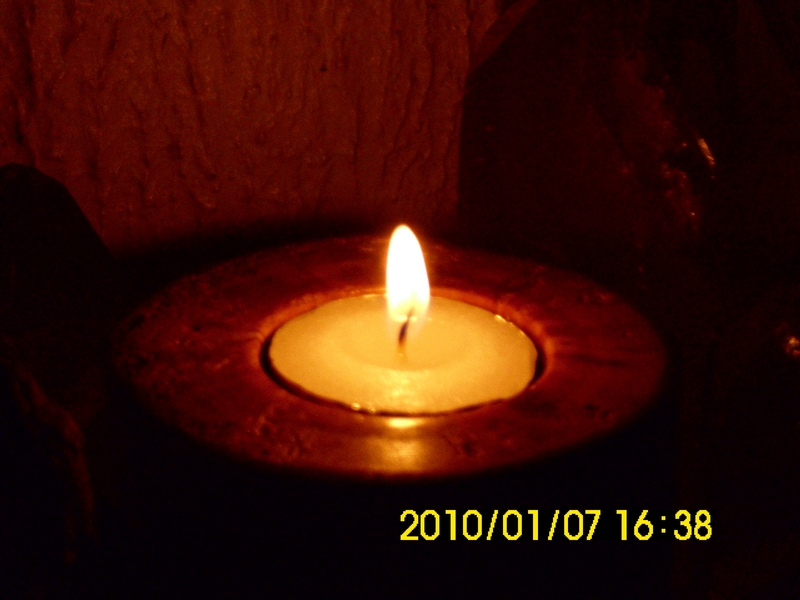 It can be as simple as lighting a single candle and pausing for a moment to reflect. Light one for me today. I have been wanting to put a photo up of this stone for ages. 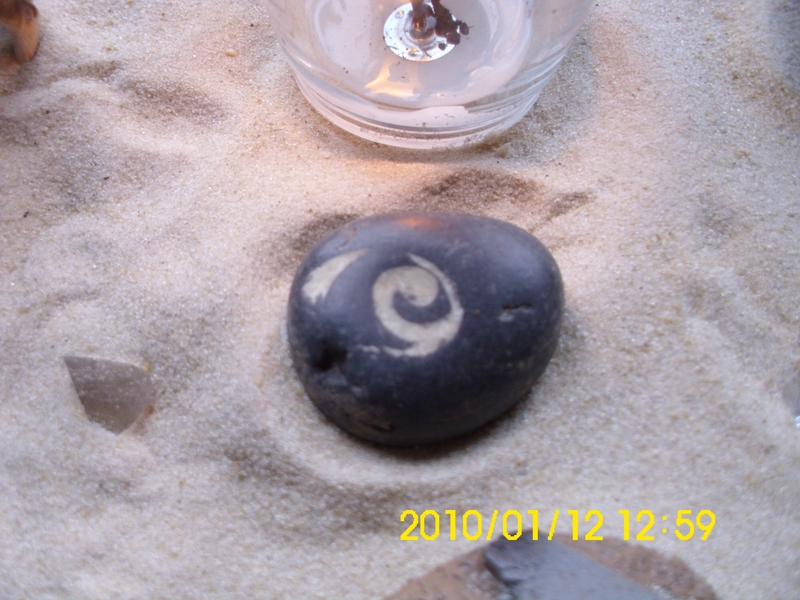 I found it some years ago, on the Gower Peninsula in South Wales, in a tiny little cove known as Ram’s Grove. It’s coincidentally pretty close to the cave where the burial of a Neanderthal body took place, the so-called Red Lady of Paviland(it was actually a man!) It’s one of the oldest known human burials, where ritual took place using red ochre and flowering plants. 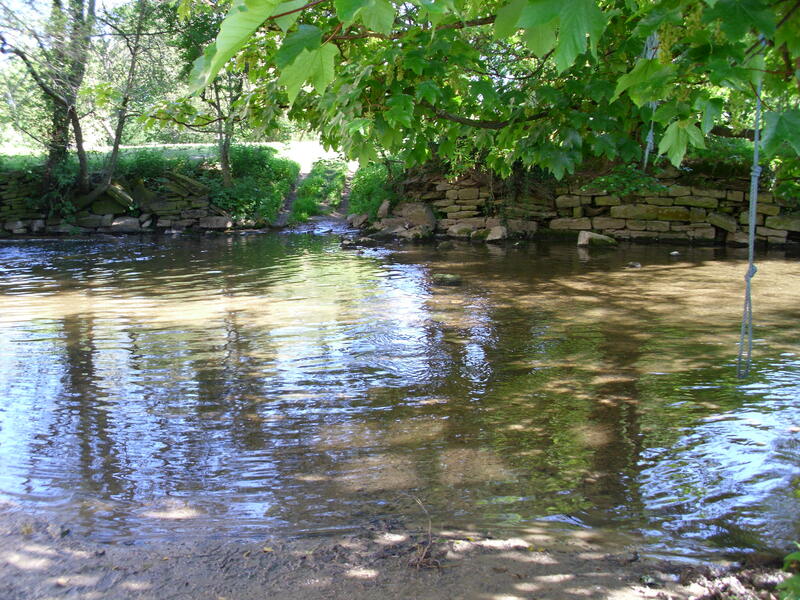 The time I found this stone, we were camping a few miles away and had slipped down at the end of the day for a paddle. The tide was coming in quite fast and my husband spotted a large boulder with the very clear sign on it, of a white image embedded in black rock. 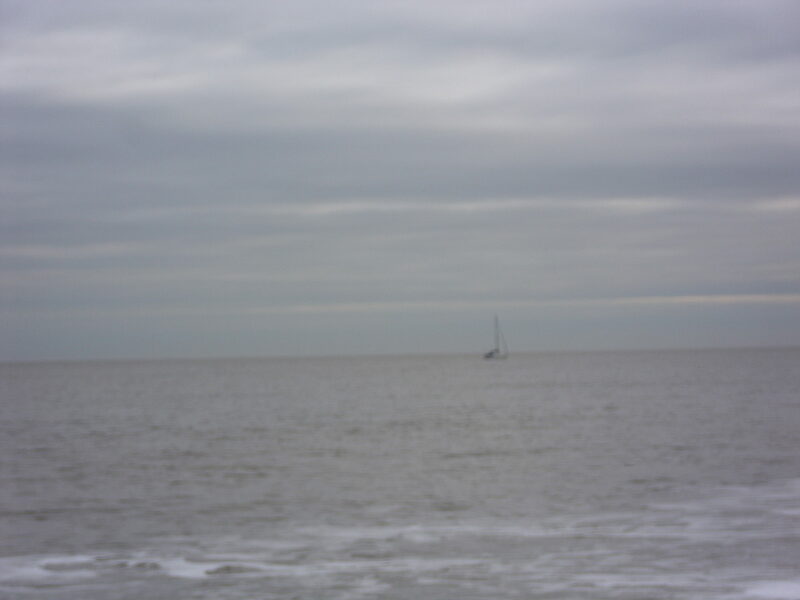 I managed a quick and rather fuzzy picture of it before the tide covered it. I was very taken with it as it was an almost perfect natural yin-yang sign, but it was a massive boulder, embedded deeply among other rocks. I prayed out loud, that I might find a similar stone that I could take home with me and when I finished those words, I glanced down and by my feet was the stone above. I nearly fell over. I was shocked. So seldom are prayers answered THAT fast, after all. I’ve kept it close ever since as a talisman and as a reminder that in light there is always dark and in dark there is always light, and also that just sometimes, you do get what you ask for in life, that prayer does work and finally, that God has a rather whimsical sense of humour. I’m a bit of a geek when it comes to it. I don’t think I can count how many brands I have tried. The incense from Greater goods http://www.greatergoods.co.uk ticks all the right boxes for me. Beautful scents, not too smokey, long burning, reliably combustible and more important yet, fair trade. If you have a look at their website you will discover they do great things in the world of workers’ rights and so on, and this adds extra sweetness to their incense. Many joss stick companies use children and the conditions are appalling. For all this, you might expect a massive extra in the price range. Not so. They’re about the same price as any incense stick bought at your local bing-bong shop (s0 called because of the cacophany of windchimes usually hung outside!). I had an article published this time last year on the use of aromatics in a sacred context in the magazine Sacred Hoop and I am in the slow process of writing a book of meditations using aromatics of all sorts, including incense. Incorporating scented smoke into your life, whether for prayer, relaxation or simply for pleasure and air freshening is a very rewarding experience and using incense from Greater Goods, it means it will also be rewarding for those who make it too.